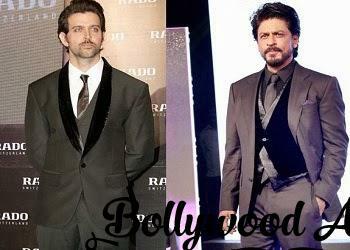 There is a strong buzz that Shah Rukh Khan will replace Hrithik in Shuddhi.Buzz started after Karan Johar tweeted that Shuddhi will release on Christmas 2015. Shuddhi is facing problems since the project has announced.Movie was expected to release this year but it got delayed due to Hrithik’s injury.After that Kareena Kapoor opted out of the movie.Then there were rumours about casting Deepika Padukone as the female lead lead.But some days back Hrithik also opted out of the movie due to his injury problems. Now Karan Johar wanted a superstar in Shuddhi after Hrithik.So he signed his best buddy Shah Rukh Khan. All eyes are now on the female lead in the movie.But an insider said that if all things go well then we might see the super hit pair of Srk-Deepika once again after Chennai Express & Happy New Year. But there is another interesting aspect of the movie that it is releasing on Christmas which belongs to Aamir Khan.Though Aamir has not announced any release yet but his last 4 films have released on Christmas.So we might see a Srk-Aamir clash at the box office though it is very unlikely. Shuddhi is a action drama flick directed by Karan Malhotra who also directed Agneepath For Dharma Productions.